In tribute to Mel Henderson (November 10, 1922–October 4, 2013). An artist member of the Berkeley Gallery, Henderson had invited Joe Hawley and Alfred Young — two younger fellow faculty members at San Francisco State College (now San Francisco State University) — to collaborate on an event. 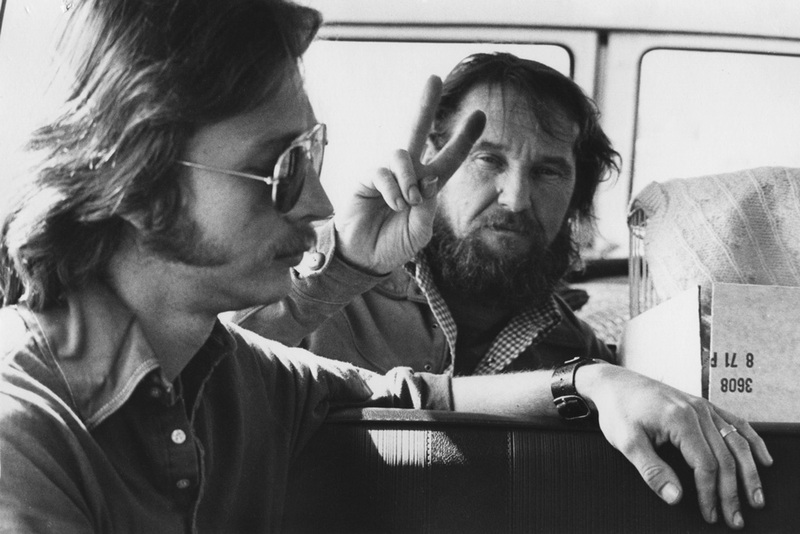 The three artists had been profoundly influenced by the five-month student-led strike at SF State in 1968–69, the longest strike at a U.S. university. 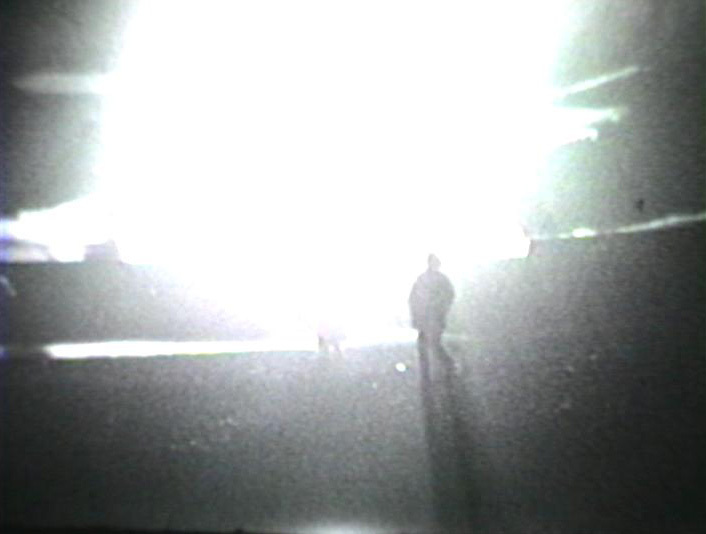 For Hawley, the activation of outdoor space and the nonviolent demonstrations of freedom of speech offered “a sense of options of expression, which directly led us to the streets.” The original plan for Searchlights was to extend the line of lights to Berkeley, where major confrontations between demonstrators, the Berkeley police, and the National Guard occurred during efforts to occupy and establish People’s Park in prior weeks and where 30,000 people had marched peacefully on May 30. Henderson and Hawley brought in Robert Campbell, a student with a Helio Courier plane, to assist with the planning, implementation, and aerial documentation of this and other works. 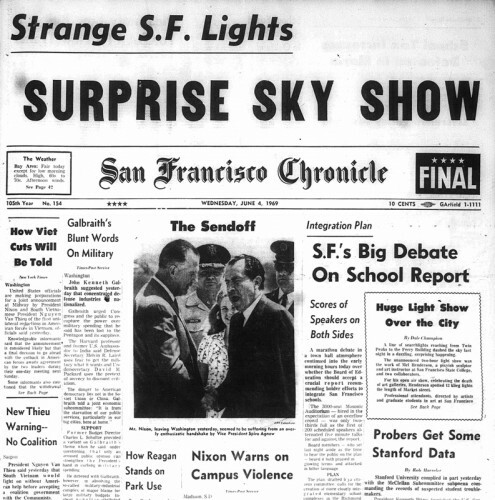 The media coverage connected this “celebration of the death of galleries” (San Francisco Chronicle) to the light shows and happenings of the sixties. For many it resonated more broadly with creative protest strategies during the Vietnam war era. Searchlights have been used by the military both in victory parades and as tactical devices during nighttime attacks. Henderson had served as an Air Force fighter pilot during World War II before receiving his art education at California College of Arts and Crafts and Mills College. As a veteran for peace, he made several antiwar works over his lifetime as well as more playful expressions of the right to peaceful assembly. 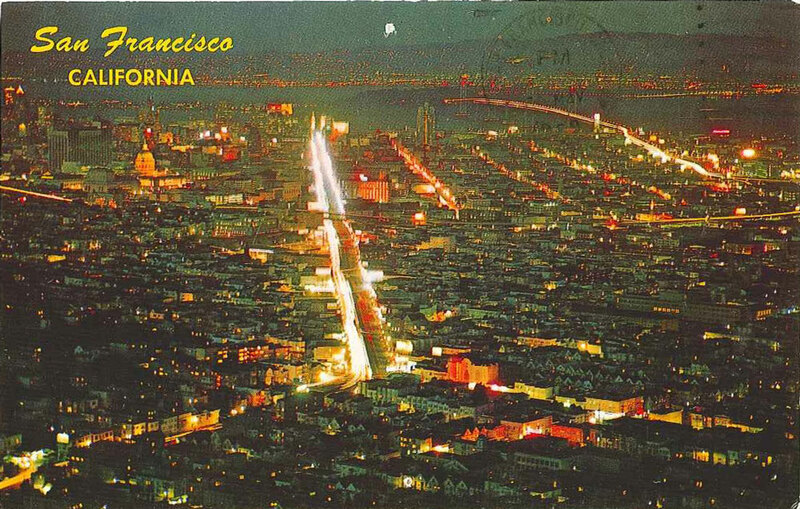 In addition to independently organizing public works, Henderson participated in a number of key exhibitions in the 1970s with outdoor or off-site performances, from casting projections on the Oakland Museum building for The Pollution Show (1970, with Young and John Altman) to presenting a multiple-video presentation of his projections on buildings in the Mission neighborhood for The Eighties (1970) at Berkeley’s University Art Museum. Henderson was first known for his sculptures in various media that invited the touch, and he had received the inaugural SFMOMA SECA Award on the heels of his participation in the landmark Funk (1967) exhibition at the UAM in Berkeley. His break from making object-based work in the gallery context and the debut of his high-profile events in 1969 precipitated SFMOMA’s creation of a short-lived grant, the SECA Vernal Equinox Special Award, for conceptual work in the public sphere, which was first awarded to his students Howard Levine and Bonnie Ora Sherk for Portable Parks I–III (1970). 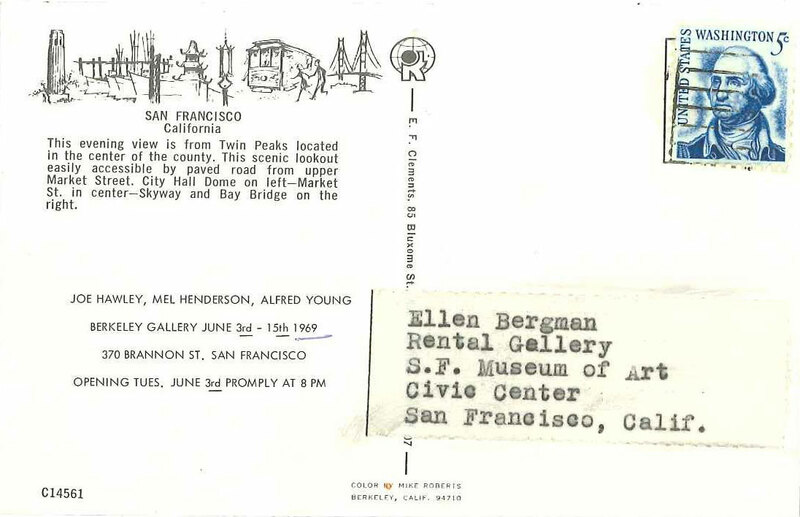 In light of SFMOMA recently returning to the Golden Gate National Recreation Area as part of our off-site exhibition program, I spoke with Hawley about this lesser-known collaboration. Following our phone conversation, he invited me to the Beach Chalet bar at sunset. Surf Line had been held along the Ocean Beach Esplanade, directly in front of the Beach Chalet across the Great Highway. His friend Lou Lopez brought to share with us his 16mm film documentation of this nighttime event, one of several of their works he recorded. 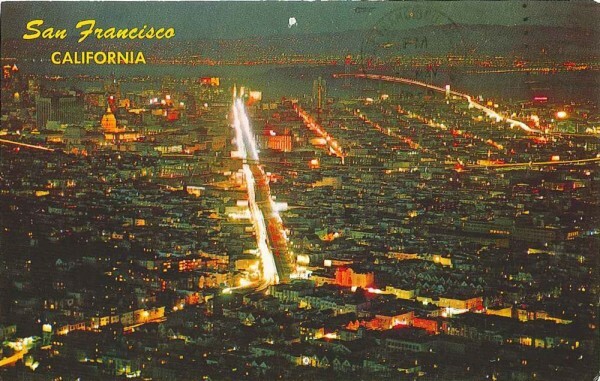 It includes footage of the artists gathering with their friends and SFMOMA audience members inside the Beach Chalet’s former downstairs tavern — which was at the time run by the Veterans of Foreign Wars — surrounded by WPA murals. The artists regularly frequented and brainstormed ideas there, observing the landscape over time. 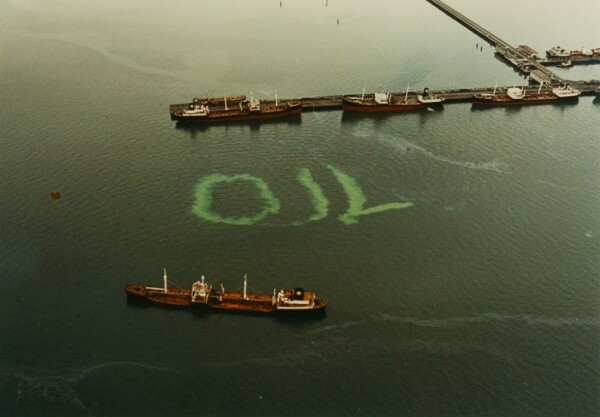 Oil (1969) had anticipated the January 19, 1971, Standard Oil spill, in which two tankers collided in the fog underneath the Golden Gate Bridge (the same vessels coincidentally pictured in Campbell’s aerial view photos) and released 840,000 gallons that devastated the coastal environment. 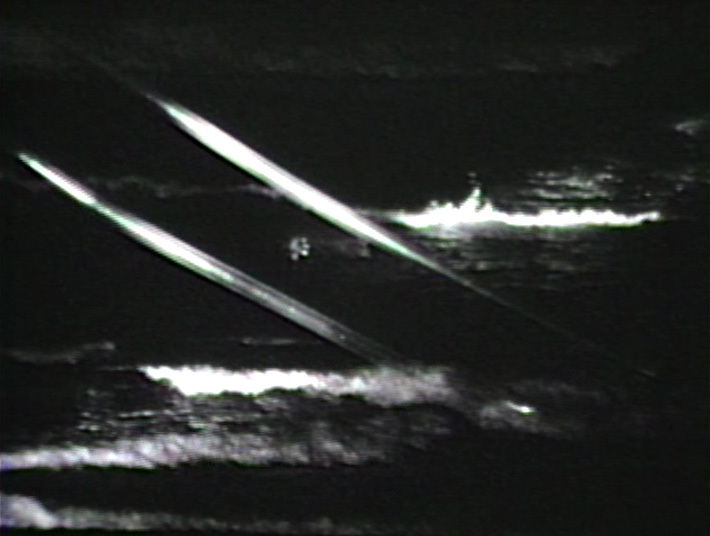 Surf Line acted as an epilogue to the ecological disaster; the event reflected on the eerie aesthetic beauty of the beacons of lights used at night for cleanup crews pitching straw along the beach. Surf Line also wed Hawley’s interest in polyethylene tubing with Henderson’s continuing use of searchlights in nighttime works such as Skyland (1970–71, with Campbell, Hawley, Altman), Spacelight (1975), and Search Light Project (1988), among others. The Oakland Museum’s Public Sculpture/Urban Environment (1974) had included a similar off-site “Environmental Events” section, featuring Henderson’s corridor of Christmas lights on rooftops of homes bordering Interstate 580 in support of prison reform, and other temporary works by Melinda Barbera, Judy Chicago, and Jim Melchert to “expand the traditional concept of sculpture,” in the words of curator George W. Neubert. Henderson’s commitment to raising critical awareness of the injustices of the prison system extended through a series of works over three years related to the Attica riot in 1971. 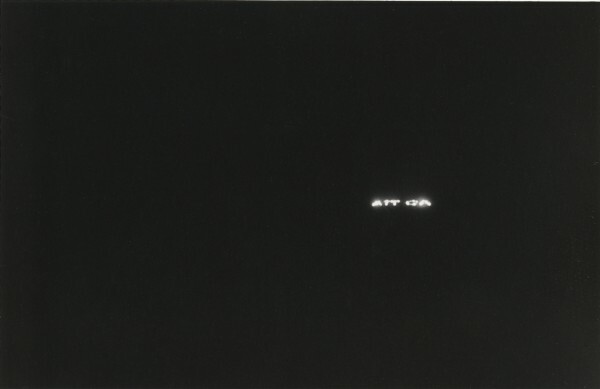 On the eve before the opening of The San Francisco Performance (1972), a group show guest curated by artist and Museum of Conceptual Art Director Tom Marioni at the Newport Art Museum in Orange County, Henderson had spelled out “ATTICA” in Christmas lights on a hillside. (He and Paul Kos, who assisted him, were both arrested for trespassing on Irvine Company property, reinforcing his criticism.) Hawley and Susan Rannells, Henderson’s wife, executed the same event simultaneously in the Bay Area. 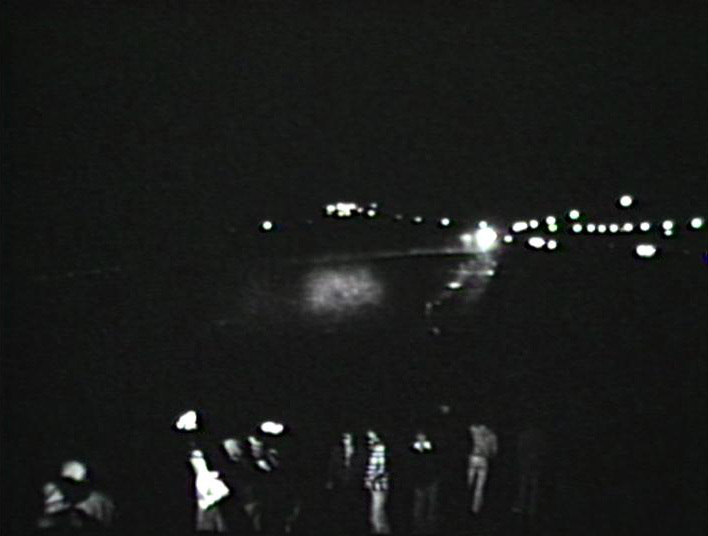 Artist Peter VandenBerge would likewise stage an Attica action in Sacramento on November 14, 1972, while Henderson, in cooperation with the Prisoners Union, organized forty-three participants — wearing boards of black-and-white flags and carrying crosses — to form a triangle over a forty-three-block area in San Francisco, symbolically gesturing to the number of men who had been killed during the uprising. 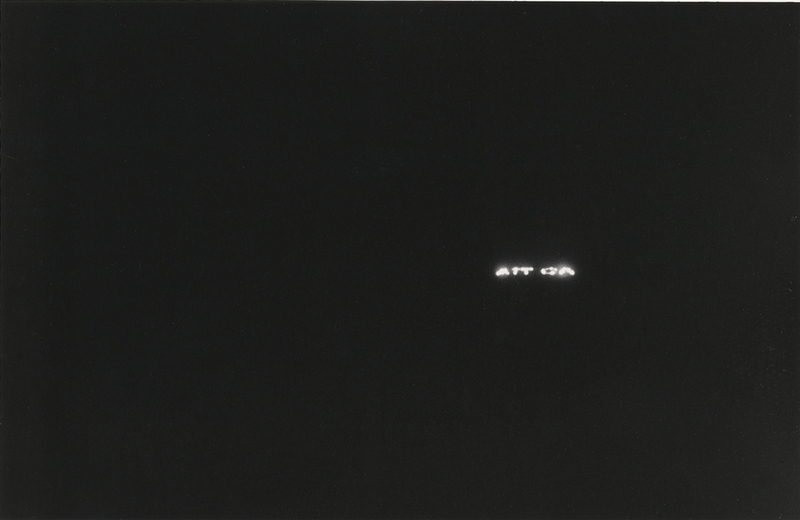 Henderson’s Attica piece for the seminal All Night Sculptures at the Museum of Conceptual Art (October 11, 1973), where he had frequently participated in shows, featured forty-three candles and three searchlights. Environmental work and sculpture dealing with place became better supported in the Bay Area in the 1980s with the founding of private foundation and nonprofit residency programs. Henderson created the first earthworks sited at the Djerassi Resident Artists Program in Woodside, including Solstice Cave (1984–86). In the month leading up to the Iraq War in 2003, Henderson made one of his last major hillside statements at Djerassi: an affirmation of the importance of gathering friends together to advocate for peace. I was 15 yrs old in 1971 and one of my teachers took a group of us kids to help clean up the beach. We weren’t much help but it showed me how devastating an oil spill is. We had fun but I see the sacrifice the animals have made so we can drive our precious cars. A man from the Sierra club took my and my friends’ picture next to a black puddle. I was wondering if my picture ended up anywhere on the net, but I don’t think so. Ironically I ended up working for Chevron Corp. Thanks for the articles. “Yellow Cab Event” is one of my all-time favorite pieces. The Art Guys discovered it in San Fransisco when we did “Hello” one of our many works done during our Capp Street residency in 1995. I’ve always been jealous of “Yellow Cab Event.” Great piece.